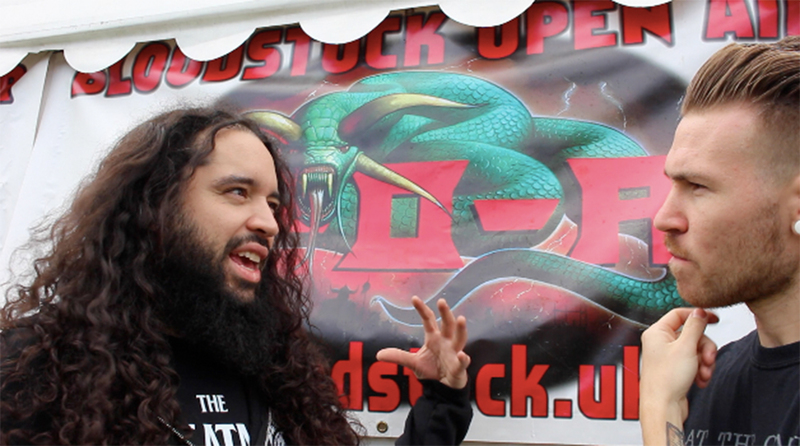 After their blistering set at Bloodstock, David Sanchez kindly set some time aside for me to quiz him all about what exactly conformity means to him and how it affected our modern society. One of the harbingers of the new wave of Thrash that has been revitalised in the Metal world, Havok are by and large key players in the expanding scene. Releasing their brand new album Conformicide this year the band turned their steely gaze directly at the haves and the have nots. Inspired by the likes of fiction and sadly in this present day the likes of fact, Conformicide is a record written out of anger. Fuelled by the passion for justice, Sanchez penned the latest release’s lyrics to fit around the current goings on in the world. With a multitude of examples of greed, hypocrisy and control at our fingertips, Sanchez and the band felt that it was their duty to leave behind a record that would want younger people to question authority, to bring this sense of revolution back! Not to mention it shreds the others under the table. Currently on their European festival run, the band are set to go from big to bigger, climbing up the Thrash Metal chain to truly become a force to reckoned with I think that its all time that we wake up. Havok’s disgustingly good Conformicide is out now via Century Media.